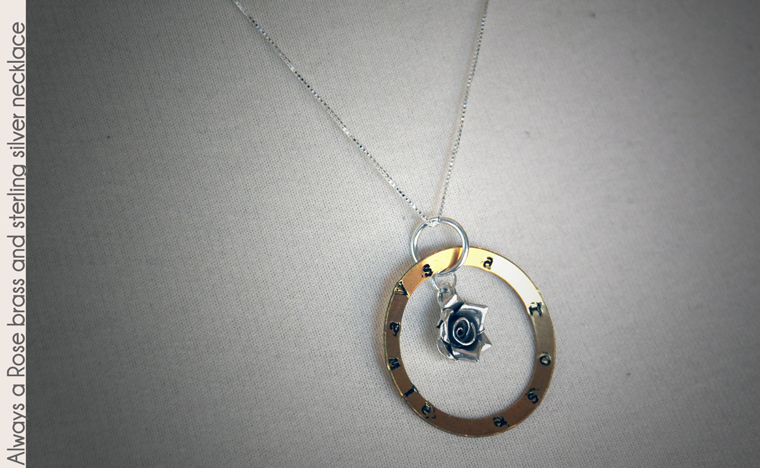 I enjoy Robert Frost's shorter poems such as "The Rose Family" that asserts that "you, of course, are a rose and were always a rose". 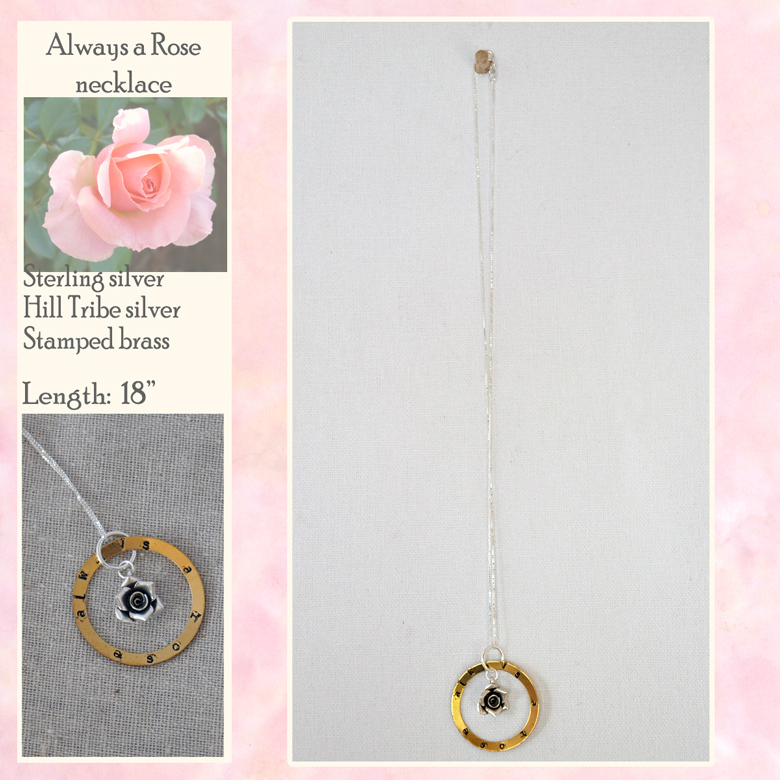 That sentiment is expressed on the stamped brass ring surrounding a lovely handcrafted Hill Tribe silver rose charm, a perfect gift for a "rose" in one's life. 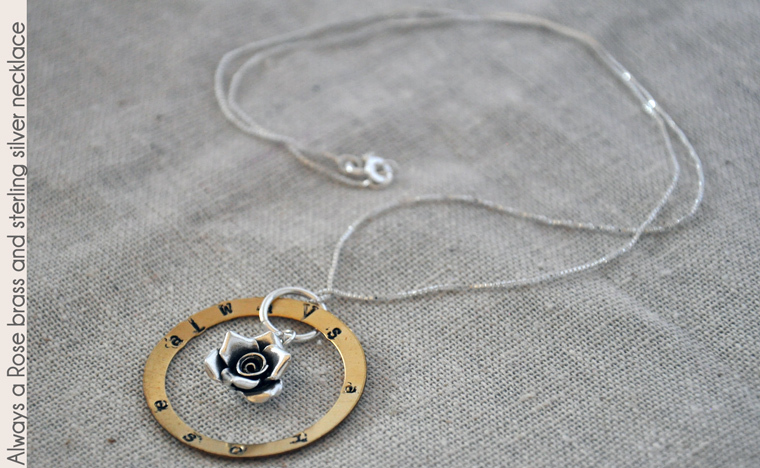 The pendant is paired with a delicate sterling silver 18" box chain with springring clasp. 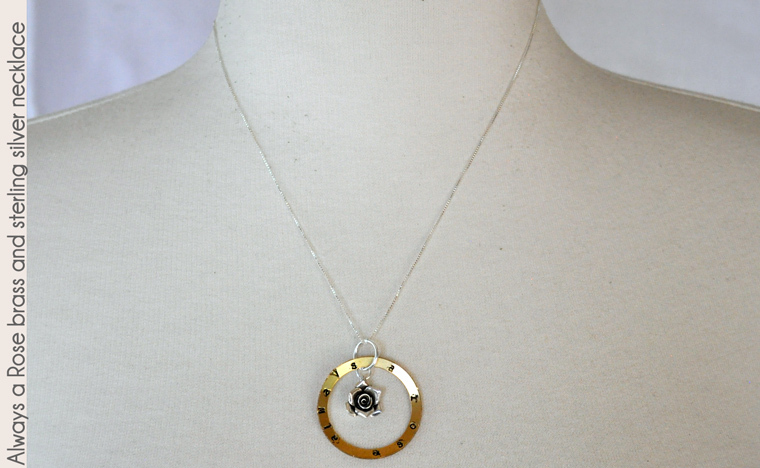 The sterling silver chain and metal pendants should be robust to tugs and pulls, though care should be taken because the brass metal ring has a sharpish edge. As with all beaded jewelry: do not let young toddlers chew on it. 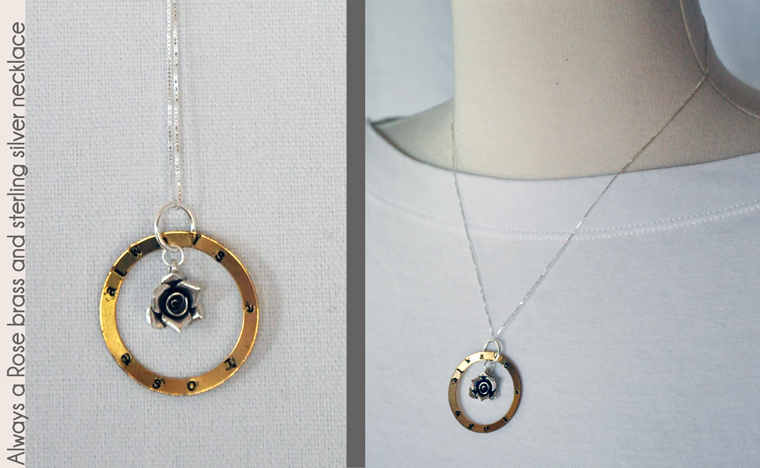 This 18" necklace and pendant are versatile and can be worn with casual tops (crew necks, V-necks) and higher-neck blouses or deeper V collared shirts.